Loreto Cleaning was founded in 2004 as a professional home contract cleaning service in Dublin. 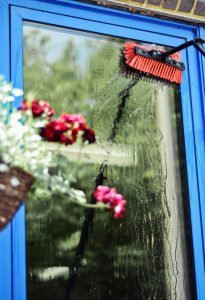 Since then we have cleaned thousands of homes throughout the Dublin area but our focus over the last few years has been commercial cleaning, window cleaning and carpet cleaning. We were the first cleaning business in Ireland to run carpet cleaning and window cleaning deals on group buying sites and have since started our own group buying scheme through Facebook and email. This cuts out the middleman and means we can offer great deals to our customers without being forced to compromise the quality of service as is often the case due to working at a loss on some deals. Why Choose Loreto Contract Cleaners? Client satisfaction is very important to us. We go above and beyond for every client and their business to ensure complete satisfaction and an efficient service. Loreto offers commitment, professionalism, and an excellent service at very good value. We offer many Contract Cleaning Services including Office Cleaning, Carpet, Upholstery, Window Cleaning, and much more. Whether you are a commercial customer with a daily/weekly office cleaner, a private homeowner with a regular cleaner or have bought one of our deals on carpet cleaning, window cleaning or mattress cleaning, we will provide you with the best professional cleaning service possible. If for any reason you are not happy with a service we have provided you, please contact us immediately and we will do everything in our power to make you happy!! We would like to thank you again for taking the time to read this and if you have any enquiries large or small please do not hesitate to contact us.